(CNN) - Former Major League Baseball infielders Luis Valbuena and José Castillo were killed in a car crash Thursday in Venezuela after playing in the country's winter league, their team said. "We are living a horrible tragedy in Cardenales de Lara. We lost our players Luis Valbuena and José Castillo in a traffic accident," the Venezuelan club tweeted. 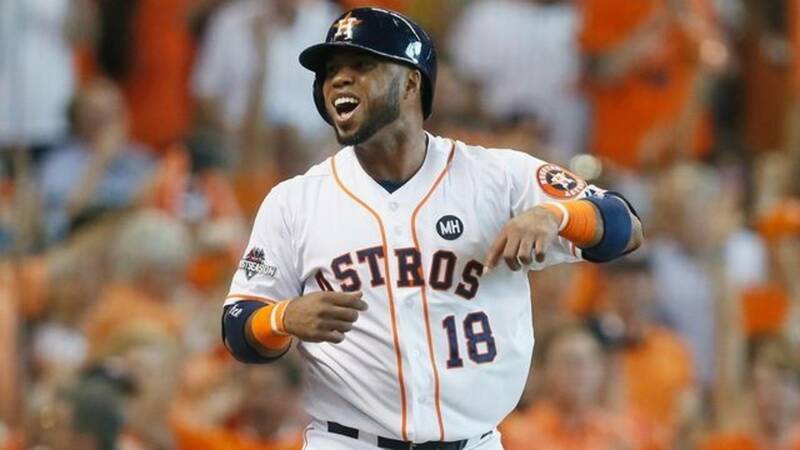 Valbuena, 33, recently played for the Los Angeles Angels, after spending some time as the Astros' third baseman in 2015, and had been a free agent since the end of the 2018 season. Castillo played for the Pittsburgh Pirates, San Francisco Giants and the Houston Astros between 2004 and 2008. "We are deeply saddened to hear of the passing of former Angel Luis Valbuena and former MLB infielder José Castillo. Our thoughts and prayers are with their loved ones during this time of grief," the Angels said in a statement. The two men were traveling from the Venezuelan capital of Caracas to the northwestern city of Barquisimeto where their team is based for a game on Friday after defeating the Leones del Caracas club, according to the website BeisbolPlay, an official platform for the Professional Venezuela Baseball League. It appears their vehicle veered off the road after hitting a rock, the website reported. Cardenales de Lara third baseman and former major league player Carlos Rivero was also in the vehicle and survived the crash.